Beauty World is one Singapore musical written about a Malaysian girl from Batu Pahat coming to Singapore to search for her father in the 1960s. But that's the musical. Now there's an additional Beauty World. 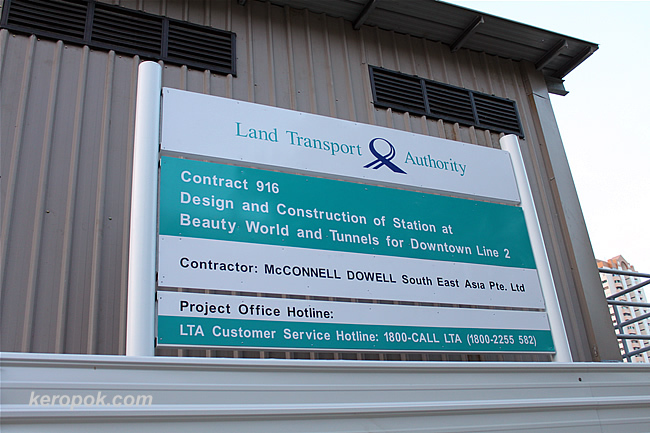 Beauty World MRT Station. It's suppose to be ready in 2015. With the new MRT lines having beautifully designed stations, I wonder how this station will look like. I hope this station name stays as it is, because it sounds nice. Heard that the other station near Hwa Chong, the name is now changed. Ya, read that it was named Tan Kah Kee Station. Beauty World does sound rather 'beautiful' ya?